The final goodbyes will be private, as they should be, but on Sunday morning Winx was joined by trainer Chris Waller and the two people who for many years have spent the most time with her as Australia's iconic mare made what is likely to be her final public appearance as the member of a racing stable. 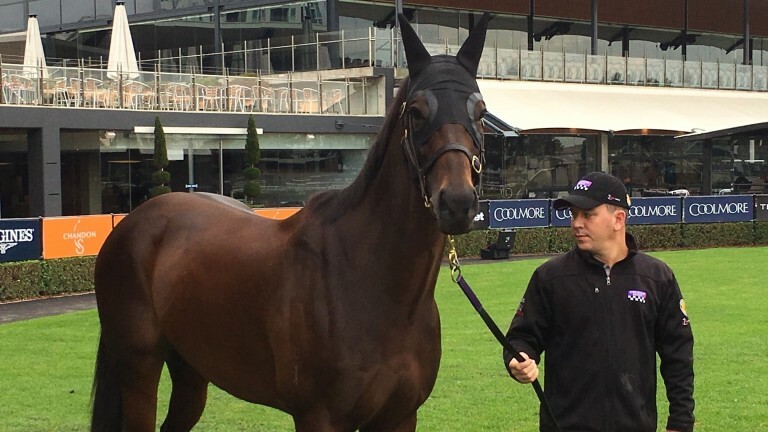 Around 17 hours after she brought an exceptional sporting career to a close with her 33rd consecutive victory in the Longines Queen Elizabeth Stakes, Winx posed for television cameras in the mounting yard of Rosehill Gardens racecourse, a short stroll from her home in its trackside stables complex. The extent of her celebrity status was evident once again in the depth of coverage devoted to her swansong success in the country's newspapers, with the mass-selling Sunday Telegraph providing its readers with a special 32-page tribute pullout. 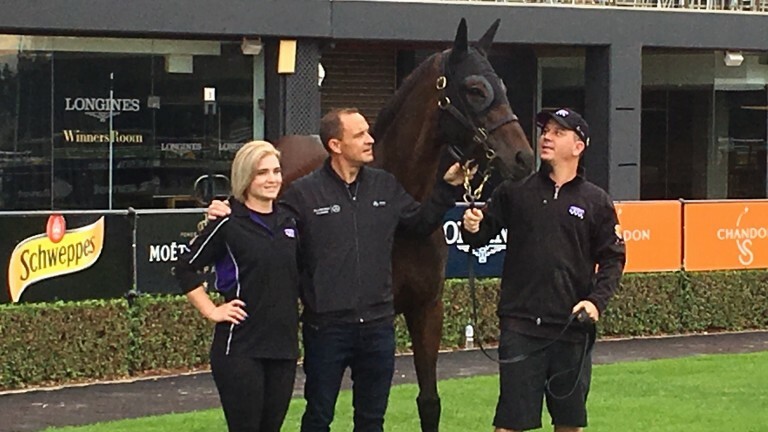 "It’s a huge relief but it hasn’t really sunk in yet," said Waller, as he reflected on Winx entering retirement in the perfect way. "Saturday really was something very special. It will be remembered forever. Her fans really got behind her, not just in Australia, but around the world. It was pretty obvious it was a big sporting moment and one that generations will keep in their minds for a long time, passing it on to their children and grandchildren." When those future generations are told about Winx, Waller believes one particular factor deserves emphasis. "Longevity has been the key," he said. "It’s pretty hard to keep an athlete at the top for so long. It can only be done with one who is superior to the rest – and that’s we’ve had with Winx. "It’s hard to quantify but I would say she is ten per cent better than her opposition. That's how she kept this winning sequence going. She did it on wet tracks, firm tracks, over short distances and long distances. On her off days and on her best days she is the same." Strappers Umut Odemislioglu and Candice Persijn have had the most direct experience of those days. 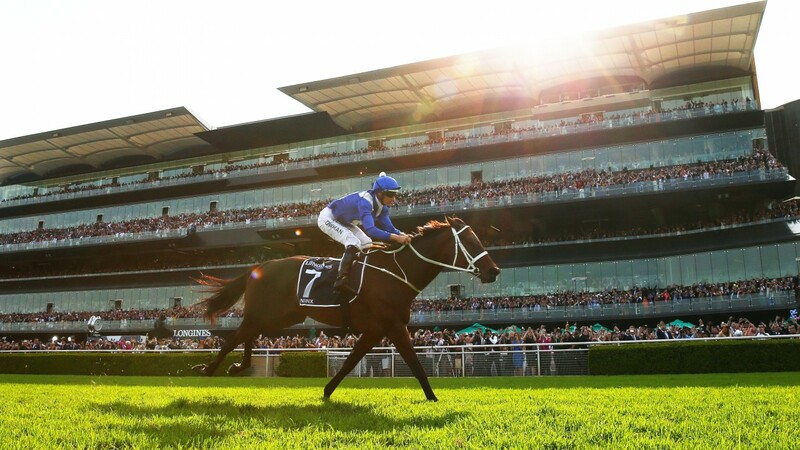 They have carried out superb service as Winx's personal assistants and did so again on a morning when Persijn spoke in awe about the amazing scenes played out at Royal Randwick the previous afternoon. "I don’t think I’ve cried so much in my whole life – I was just glad I was wearing sunglasses," she said. "Umut and I were pretty much with her the whole day. It was a surreal feeling seeing all those people who are inspired by her. She isn’t just a horse, but when she's at home she is just Winx. She wants no nonsense and no fuss. She's so easy. "It doesn’t really feel like she’s done. It’s probably only going to be when she doesn’t return to the stables that it will hit us. That’s when we’ll realise she isn’t here any longer. This time she isn’t coming back and that’s kind of hard to process." They will soak up their last remaining days with Winx, who behaved like a horse well aware of her own superstar standing. "She knows she's good," said Persijn as the seven-year-old superstar flirted with the cameras. "Just look at her. She's so arrogant." That arrogance has stood her in good stead. A maternal instinct will soon be needed. Fortunately, Waller believes Winx is set to be an excellent mother. He is also highly likely to be the trainer charged with coaching her offspring. "Seeing that baby coming out in the spring will be very special," he said. "It's opening up another chapter. We're looking forward to it – although I'm sure the day that young colt or filly walks into the barn, I'll say: 'Oh no, not again!'" Any day now Winx will leave that barn. Waller is a famously emotional man. Those emotions were there for all to see on Saturday afternoon. They were equally obvious on Sunday morning when he opened up about having recently spent precious time alone with Winx, giving her plenty of pats and saying "thank you" repeatedly. "I would say she'll leave us towards the end of the week, once we've had our chance to say goodbye," said Waller, struggling to get the words out of his mouth. "We’ll share some special time with her and reflect on how she has changed our lives. "My key staff will all stay together and be well looked after. We’ll make sure they are not forgotten. We stick together as mates and ask each other: 'How are you going?' That's probably what we all should do in life."